5. Valentine’s Day Cards. Is there anything worse? Whether you go sweet and sappy or a simple little rhyme time poem – they all have the potential to make you cringe. How wonderful is it to simply breeze past the combustion of pink and red at Hallmark. 4. Valentine’s day falls on Thursday. That means you’ll be up late on a compulsory date night mid-work week, leaving you to barely crawl through your Friday. Who wants to start the weekend that way? Instead, take on Friday well-rested and be ready to tackle the rest of your well-earned weekend. 3. No stress. Are they getting you a gift? How much should you spend on their gift? You can’t get a reservation anywhere. What should you wear? FORGET ABOUT IT! You don’t need that type of stress in your life. 2. 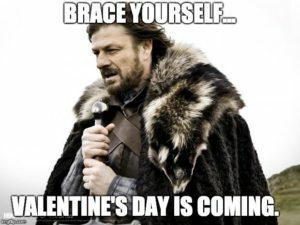 It’s February! You barely made it through January. It’s cold. You’re pale. You’re not even getting a long weekend out of this holiday. It’s all so cliché. Why bother? 1. Keep your wallet and tummy full! 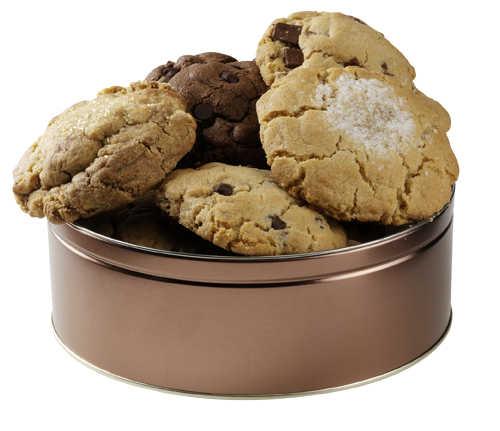 You deserve to celebrate yourself with a tin of Carol’s Cookies. I mean, who loves you more than you anyways, right? Not sure what’s better, the fact that you don’t have to share with anyone or that all orders are 15% off right now! And don’t worry, you can store our cookies in the freezer to keep them fresh n’ ready for you when you have me-time. Being single can rock, too! Celebrate yourself with a tin of our handmade cookies delivered right to your door. Order here and be sure to use promo code: CookieLove2019 for 15% off your order.